Stories help us remember details and form an emotional connection to a subject. So, it only makes sense to leverage the power of your company’s story for a knock-out Employer Brand strategy in 2019! Since the beginning of time, storytelling has been a vehicle for sharing information and has played a major role in shaping societies & cultures throughout history. Still to this day, storytelling is a huge part of our day to day lives with the prevalence of social media. As storytellers it has only gotten easier for us to share our story with a network of people. Here’s why you should consider leveraging your company’s story and utilise this age-old communication tool to convey your Employer Value Proposition and strengthen your overall employer brand…. A great ad and great copy = a great story. The best way to create interesting, relevant and authentic ads? Incorporating your company’s story! Your advert is a candidate’s first glimpse into what it is like to work for you and what it is you are offering. Stories create a deeper connection between yourself and the reader. Make it inspiring by sharing your story. 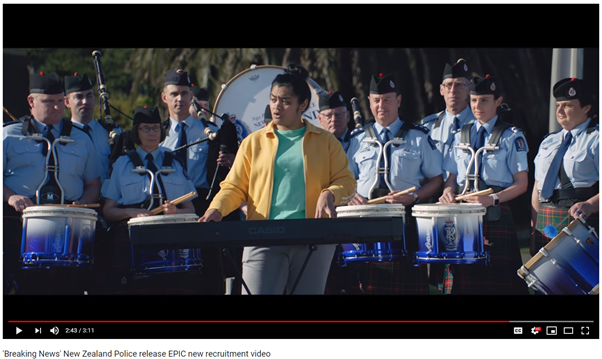 By incorporating humour and a narrative, NZ Police have not only managed to portray inclusion and diversity, their videos are informative, showing roles available within the force, and where YOU could fit into their team. 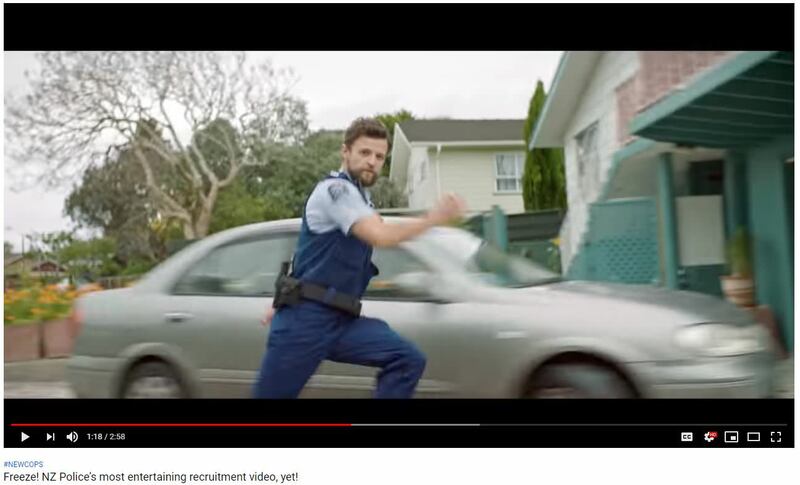 The first New Zealand Police video released in 2017 went viral and resulted in approximately 2500 extra job applications. That is what we call a successful job ad! Consider this: Share your story and take your job ads even further by creating a video advert. Define your goals, your values and what it is that is truly unique to your company. Don’t be afraid to think big! Maybe your goal is to double the size of your company in the next two years? For your employees that would mean development opportunities and promotion. Or maybe your office has contributed to the Greyhound Adoption Program? Your company’s vision and mission are at the core of who you are as an organisation and they’re the perfect ingredient to include in your storytelling for you to resonate with your candidates. Whatever angle you choose, define a story that is relevant and attractive to job seekers. A great way to keep your story relevant to candidates is to tell the stories of your employees. Bottom line? Figure out your narrative and your angle in order to create a compelling concept. Won any awards recently? Or have you been named one of the most environmentally friendly organisations in your locale? Whether you work in an interesting environment or a beautiful modern office, capture it! Include photos on your careers site, publish photos and achievements on your social media to showcase exactly why your employees enjoy working for you. From there your story will start to formulate. When uploading content, remember to remain consistent across your social media channels by creating a hashtag series that links to the content of your story. At Big Splash we share the stories of our people with a #LifeatBigSplash hashtag across our platforms so our content is collated and available in a central location on social media. Heard of Instagram and Facebook Stories? The interactive snapchat-like feature that many companies are using to create photos and images that disappear after 24 hours. An ideal feature to showcase your authentic/unscripted company culture and a great tool to utilise for an employer branding piece. This feature facilitates polls, hashtags, mentions, links and gifs so you can really animate your content for your followers and potential candidates. And good news! Instagram now allows for you to save your stories to be published and sit within your Instagram profile permanently, so the really good ones can stick around longer than 24 hours. Finding your story doesn’t need to be difficult. Your story is: your employee’s journeys, your own journey and your everyday successes. By conceptualising your company’s story, you will be able to start creating content that will not only define your company culture, but inspire candidates and strengthen your overall employer brand. Here at Big Splash, we can help you leverage your company’s story and create Employer Branding strategies to attract top talent into your pipeline.